^^ A reasonable video but take issue with him not doing any measurements between the two pivots and not cutting the rod. His shift lever will be all out of position by not cutting it which he will discover upon riding. Cutting it is no big deal, go to Walmart or Ace and buy a cheap mini hacksaw, it takes about ten minutes. 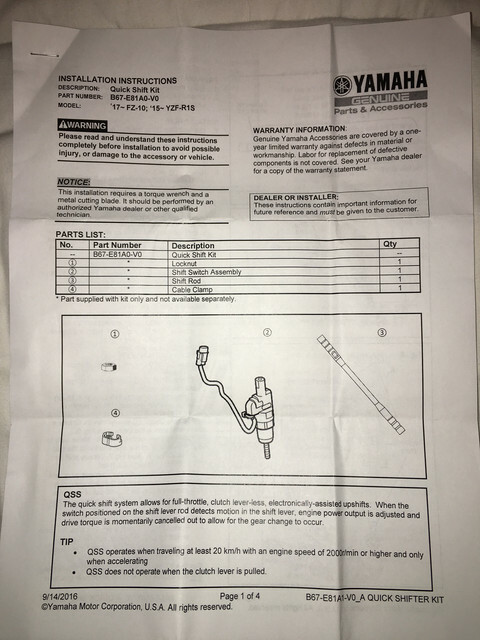 No reason not to follow Yamaha's instructions. ^^ Agree completely. I was bothered by both that and the fact that he couldn't figure out where the clip for the wire goes so he just tosses it. 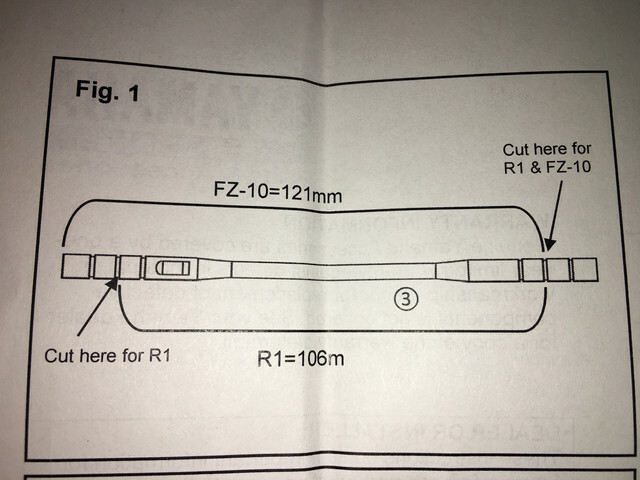 The US version requires cutting. The European does not. If your purchase the US version you must cut it to install it correctly. 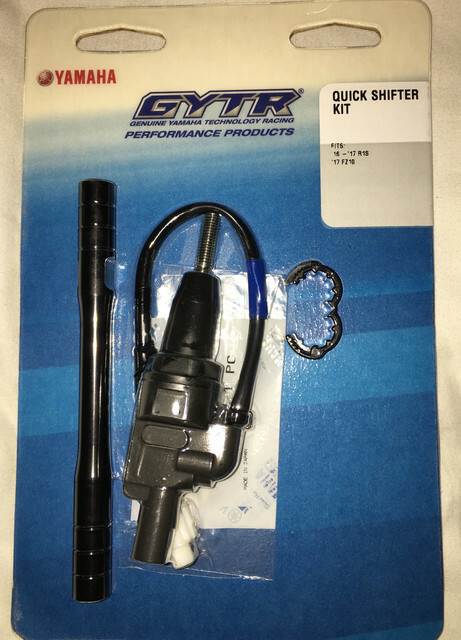 I finally pulled the trigger and installed the GYTR Quick Shifter Yesterday. 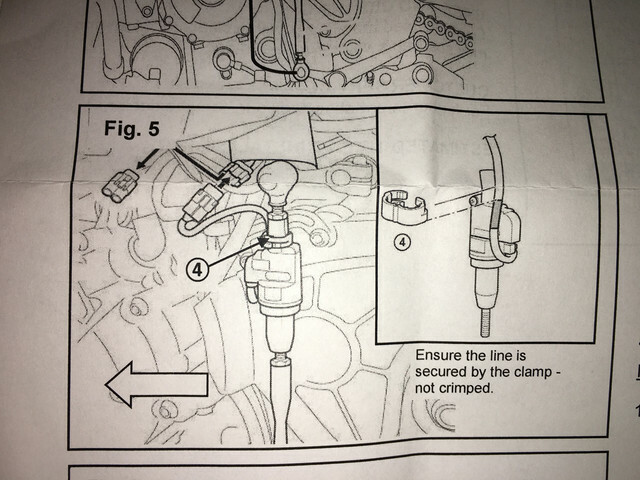 The instructions that came with it were very detailed with pictures. 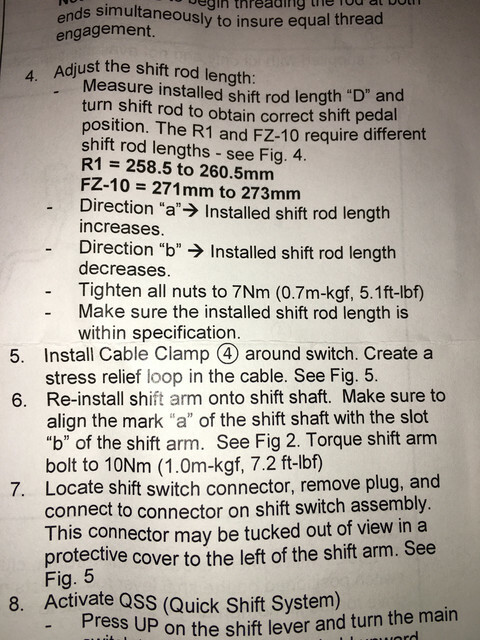 I figure I would post the directions here if it helps anyone. 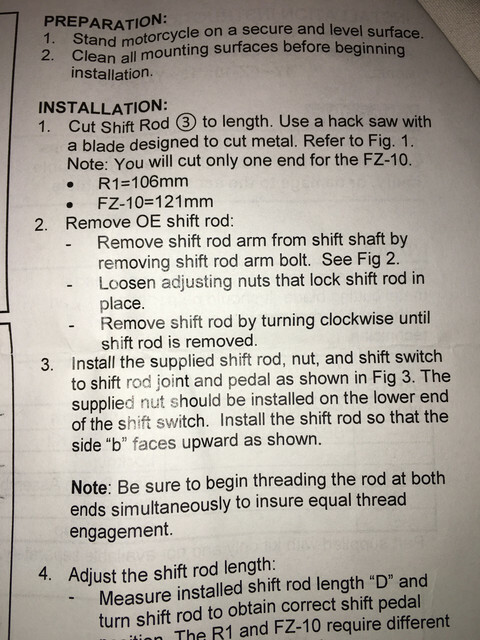 Installation was very simple even with cutting the shift rod. I guess I'll find out this weekend if I have to cut the rod or not. No big deal either way. On to the fun!! Connectors dont fit together,anyone else had this issue? 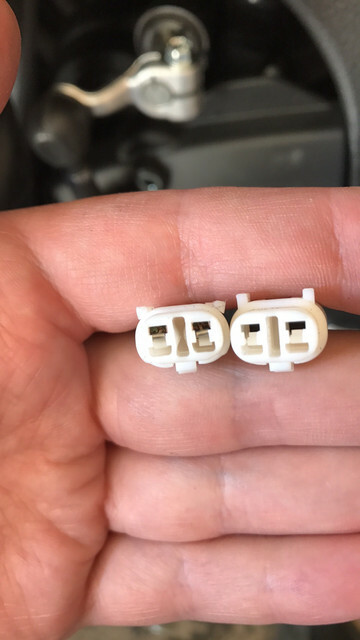 The one on the right is the plug i removed of the connector on the bike,the left one is the connector of the QS. As you can see...the "guides" dont match. I ended up removing the connector case of the quick shifter and replaced it with the dummy connector case that was on the bike.... works like a charm. No problem last week when I installed mine. It was a bit weird at first though finding the actual plug that had a protective insert in it, then once removing that the plug for the QS fit right in. 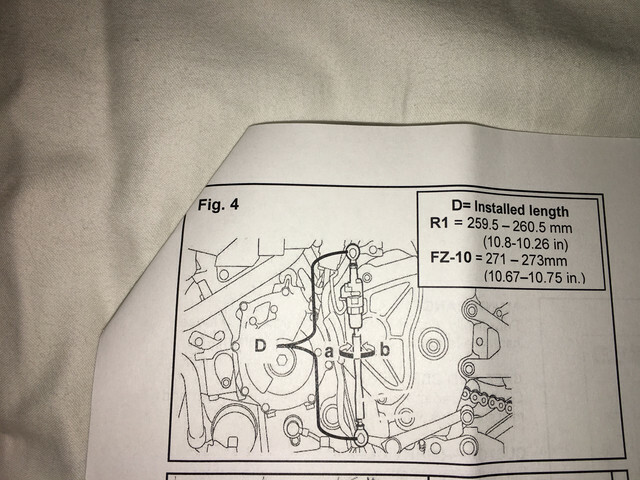 The directions mention it but are a bit unclear for the most part. I was always nervous doing clutchless personally but for the 140.00 it cost me for the QS it was worth it. I don't remember either if you can do clutchless shifting under full throttle? That to me has been fun when needed. It's not the same thing at all, Debbie. Sure you can upshift without using the clutch but you have to roll off the throttle each time. 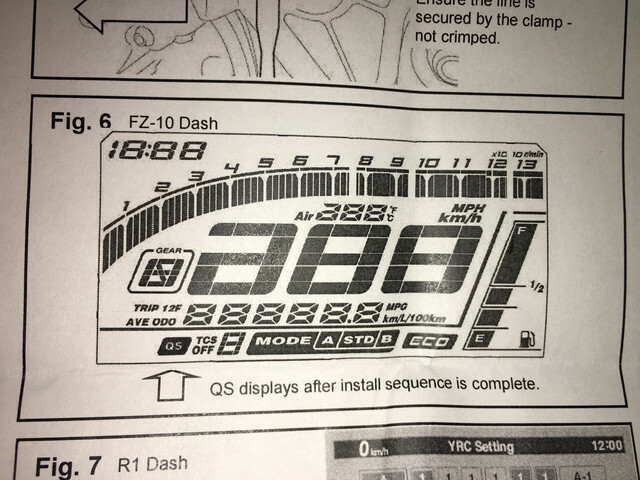 With the QS you just hold the throttle steady and it instantly upshifts, it is probably 10 times faster than doing it the old fashioned way. It's well worth the money. 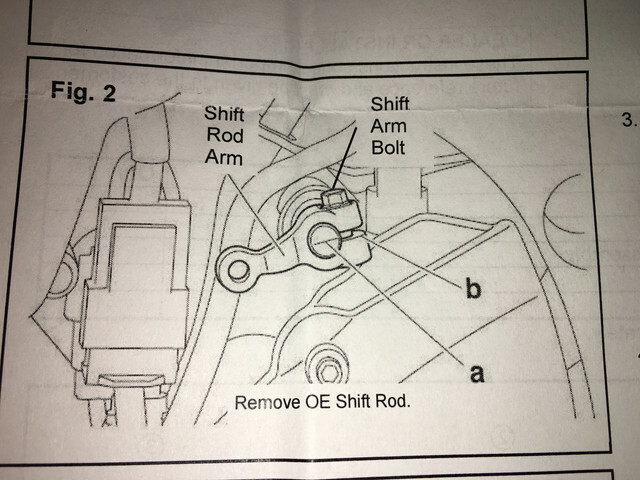 Getting the genuine Yamaha quick shifter installed by dealership tomorrow. When I asked about the cost of fitting it was said they needed to dyno the bike as part of the fitting process. Really.. Can someone explain why? I don't see any reason for the bike to be put on the dyno for the quick shifter. It is set up by Yamaha to work with the Yamaha quick shifter. Plus you should do it yourself because it is very easy to do. There are even a couple videos you could watch if you don't feel comfortable doing it yourself. Use that money Yamaha is charging for another toy for your fz. I din't think so, thanks for the feedback. 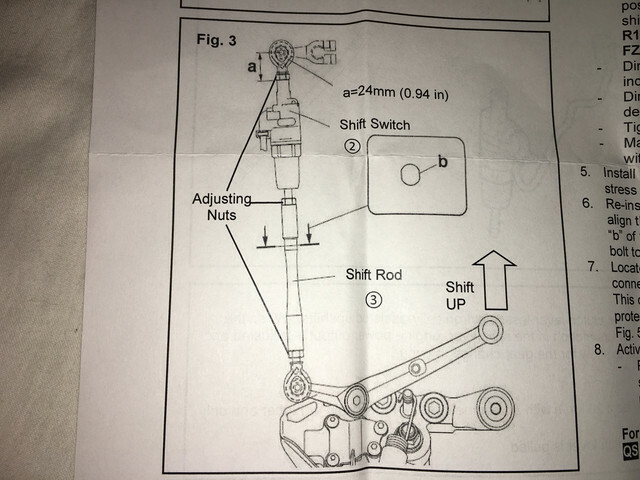 I wasn't that fussed when I bought my 2017 MT10 and the guys in the bike shop told me that it came standard with a quick shifter. Never had one before so never saw the need. Then Boom, found out what all the fuss was about, as evitzee says, no need to roll back, you can go down a straight at full throttle changing up all the way. It's a great toy, just putting in my two cents, it is worth every dollar. 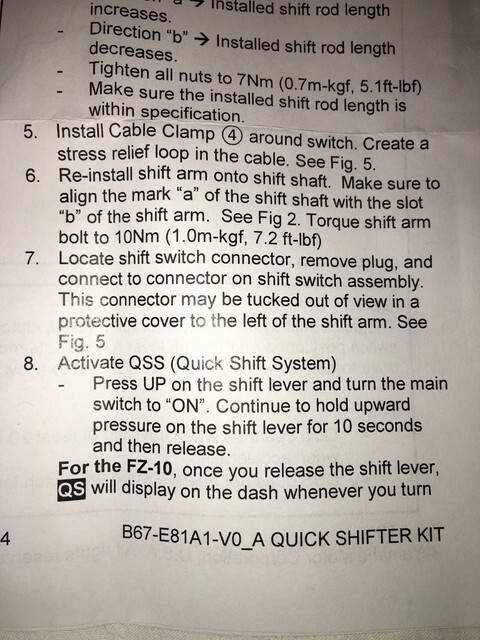 You can install the quickshifter yourself in like 15 minutes. I suggest never going back to that dealer ever again. The QS is a strain gauge which senses upward pressure from an imminent gear change. It cuts the fuelling the same way rolling off the throttle would do. It really quite a crude method. There are much better shifters like the translogic and these do need a dyno set up as they allow clutchless shifts at any rev range. 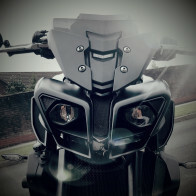 The Yam one works best at high revs, low down it is really clunky. That's because translogic use a separate ECU and look at engine timing and throttle position (I think) to vary the cut off period ensuring smooth changes at all revs. They are about two to three times as much though. Look out for 2015 R1 QS on eBay. A lot of these racers upgrade the QS for ones like translogic and auto blippers so sell them. It the exact same part and you can get them for about $100.